What would you feel if you’re graced with the chance to sing with Pentatonix? 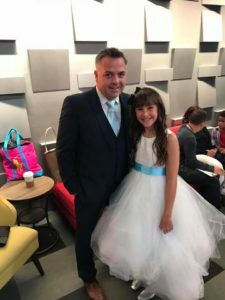 11-Yr-Old Kaylee Johnson’s appearance at “Little Big Shots” with the said famous a cappella group, lead to a legion of fans all over the world. Little did her fans know that this girl was was diagnosed with mild autism and attention deficit hyperactivity disorder at an early age. Kaylee, according to her teachers rarely spoke or sang, until just recently. 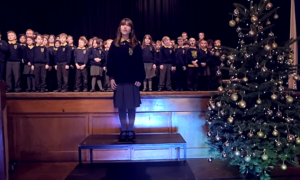 In an amazing turn of events her fame went viral with a Christmas-themed remake of “Hallelujah” with her choir at Killard House Special School in Northern Ireland in 2016, with over 9M youtube views as of writing. And, to be sure it led to big changes in her life. 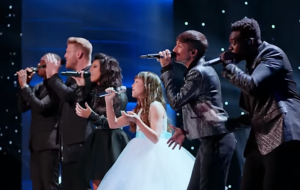 On March 25, her powerful voice rang true again at NBC’s “Little Big Shots” as the Grammy Award-winning, Arlington, Texas-based Pentatonix performed as her back up. Also, her beloved music teacher accompanied her for moral support. Once they heard her story, they “knew we wanted to sing with her”, band member Scott Hoying shared. Watch as Kaylee brought everyone – including Steve Harvey – to their knees in her cover of “Hallelujah” and then shower her with some love by sharing this video/article. This music is fitting for Easter celebration as well.